Will Primer Minister Stephen Harper repay taxpayers for a free powder puff from the Ol' Duff? Maybe, Maybelline not. An Ottawa courthouse heard this week that Mike Duffy's makeup artist gave Harper a glowing $300 makeup treatment -- all allegedly paid for out of a Senate slush fund that landed Duffy in the defendant's box, despite Duffy being told he couldn't expense his makeup artist to the Senate when he tried in 2009. And though Harper may very well have looked like ninety thousand bucks, the extreme taxpayer makeover has left the Prime Minister's Office blushing. Just last week, the Canadian Press was told Harper's makeup services were "not paid for by taxpayers." But after Thursday's testimony -- including the tabling of evidence in court showing the services were for "the PM and Mike" -- the PMO continues to insist they did not "charge taxpayers for the PM's preparation for this event." Is this a CoverGirl-up? What we do know this isn't the first time Harper's been caught dabbing his beauty brush in the taxpayers' powder box. In 2007, Harper came under fire over questions about who was paying for his personal makeup artist? At the time, Conservatives claimed the party -- not taxpayers -- were footing the bill for personal stylist Michelle Muntean's services, before finally admitting taxpayers were on the hook after all. After that controversy, the Conservatives said they transferred the makeup artist's salary from the public payroll to the party, but in 2010 it turned out Muntean accompanied Harper on 13 taxpayer-funded trips to "international conferences" paid for by the Department of Foreign Affairs, helping Harper tone up and turn heads at events like a NATO conference on global security. "The idea that these expenses are going to be run up on the public tab and then answers aren't going to be forthcoming about how much its costing is unacceptable from a taxpayers point of view," complained John Williamson in 2007. Williamson was head of the Canadian Taxpayers Federation at the time, but he now sits as a Conservative MP in Harper's government. 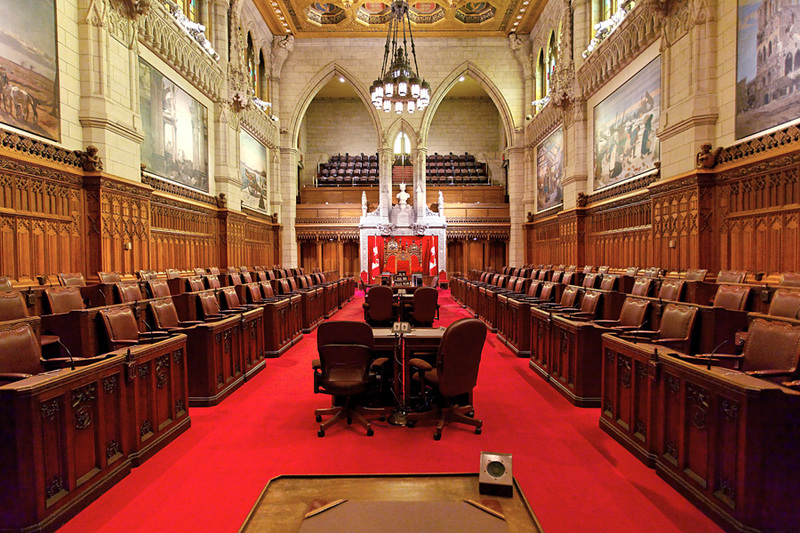 But what would the Harper of the past have to say about a trip to the Senate powder room on the taxpayers' dime? So Harper's going to repay his half of the makeup bill or he'll remove himself from the public payroll, right?